I actually had seen this awhile back when I purchased the brush reshape solution cream. Went to Michael’s and noticed it again and of course this time I decided I should give it a go. 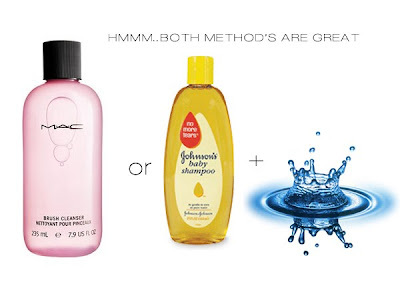 The way I’m going to use this is: pour in my MAC Brush Cleanser halfway or dilute some baby Johnson shampoo (pour in halfway) and follow the instruction. The neat part about my find is finding the replacement pad in a different location on sale! While repost a little video on my vimeo account on my 1st attempt of using this item. Product: Compact glass jar and pad for storing cleaning fluids and cleaning brushes. How to use: Stroke brushes across soft, flocked cleaning pad to help remove paint residue. FYI: Residues get trapped at the bottom of the jar to help keep cleaning fluids cleaner longer. Have you tried the Brush Cleaning Jar?